Research carried out by Women’s Enterprise Scotland shows that women-led businesses contribute more than £5 billion towards the Scottish economy, and that if rates of women-led businesses equalled that of men, the contribution to Scotland’s GVA would increase to £13 billion. Therefore, it’s encouraging that the past few years have seen a rise in the number of female-fronted businesses in the employee ownership sector, with several of the businesses transitioning to EO being owned or run by women. We caught up with our director Sarah Deas to hear about some examples. “One of Scotland’s most prominent EO businesses being run by a woman is Arran’s award-winning Auchrannie Resort. 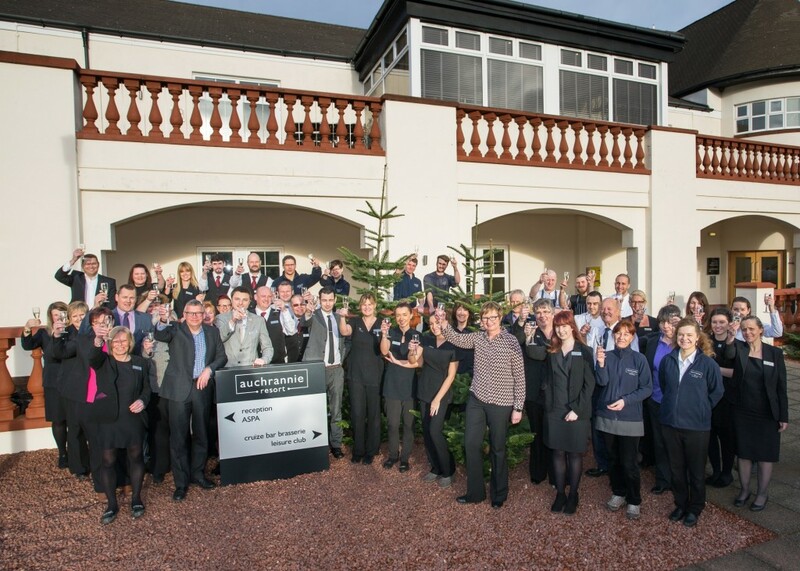 Established by Iain and Linda Johnston in 1988, it became employee-owned in December 2017, with 160 members of staff becoming owners. Linda has led the company as managing director and board chair since 2010. “With two 4-star hotels, 30 5-star self-catering lodges, two leisure clubs, three restaurants, an ASPA spa and Arran Adventure outdoor company, Linda and Iain had cultivated a hugely successful business. When considering her succession options, it was important to Linda that the ethos of the company, the existing team, and the community use of Auchrannie’s facilities for the future was protected. “Those were the drivers in deciding that employee ownership was the way forward for the company, and the new ownership structure means that her team now plays a huge part in shaping and influencing the future success of Auchrannie. “Another Scottish business which has adopted the EO model in recent years is Doune-based Harvey Maps, a professional mapmaking service for the sport of orienteering. Founded 40 years ago by Robin Harvey MBE and Susan Harvey MBE, it is one of a very small number of companies in the UK to generate its own map data, becoming a market leader in maps for outdoor pursuits. “As Susan considered her exit strategy, she felt it was important that the business they had built up over the years wasn’t swallowed up by a competitor. She decided that EO would give the company the best chance of continued independent existence and success, while retaining jobs locally. 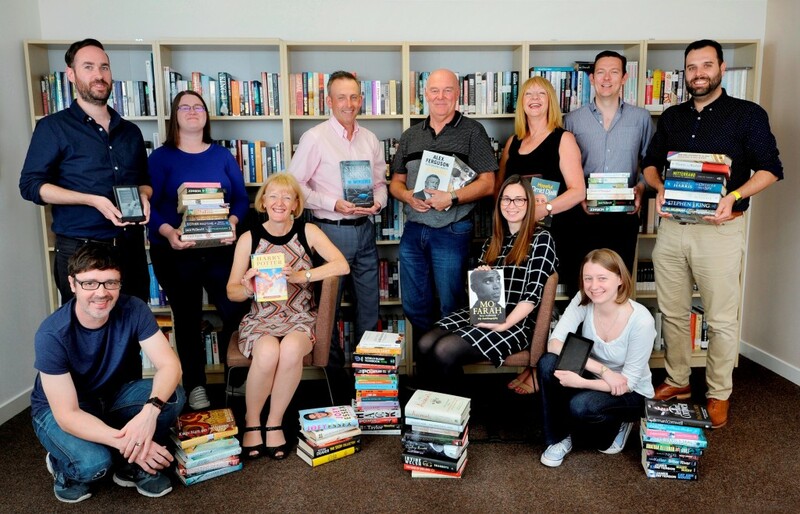 The employee buyout saw ten staff given the opportunity to become owners. 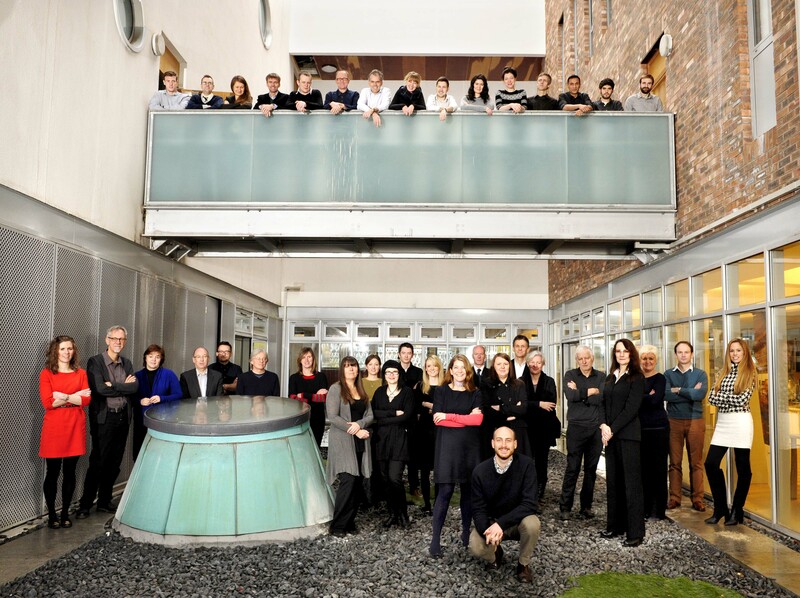 “Heading up Glasgow-based architects Page \ Park is Karen Pickering, who was appointed as its chair of the board of directors following its transition to employee ownership. Having served 27 years with the company, her energy and drive to ensure the best possible architectural outcomes has continued in her new leadership. “She states that becoming employee-owned boosted productivity and increased engagement among staff – team members are no longer ’wage earners’, they are ‘company owners’ and that has brought about greater energy, drive and pride – a great endorsement of the employee ownership model. 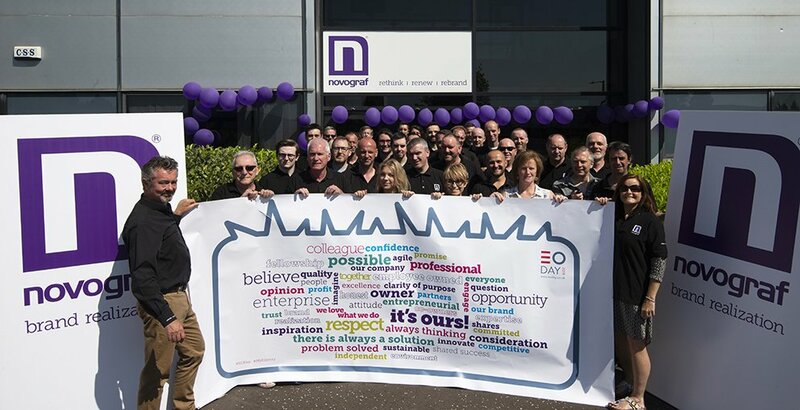 “Also benefiting from EO is East Kilbride-based brand-realisation company Novograf. When the founders were considering their succession options, the company was performing well, winning some significant new business. They wanted to ensure this momentum would continue with those who knew the company best. “Heading up the team of employee owners is managing director Jennifer Riddell–Dillet, who is harnessing the power of a highly engaged and motivated workforce to drive the business forward to further innovation and success. “Employee ownership has great potential to help drive economic growth and create greater wealth equality in society. It’s great to see such successful, female–led businesses thrive within the sector, and we look forward to the number of women leading the way in EO continuing to grow. If you have a question or you want to talk about how employee ownership can help you, please get in touch with us here using the ‘expert support’ option. This entry was posted in BLOG on March 8, 2019 by CDS Admin. Chemco International is the latest company in Scotland to become 100% employee owned. The company, which is headquartered in Coatbridge, is regarded as a market leader in the design and manufacture of state-of-the-art protective coatings and is at the forefront of delivering environmentally friendly products for a wide range of industries throughout the world. Founded in 1990 by Manny Khorasani, Chemco traces its origins back to the Original Glassflake Company, the inventors of glassflake technology in the 1960s. Manny joined Glassflake as a production supervisor in 1982 and after quickly rising through the management ranks, he bought the company in 1990, renaming it Chemco International. 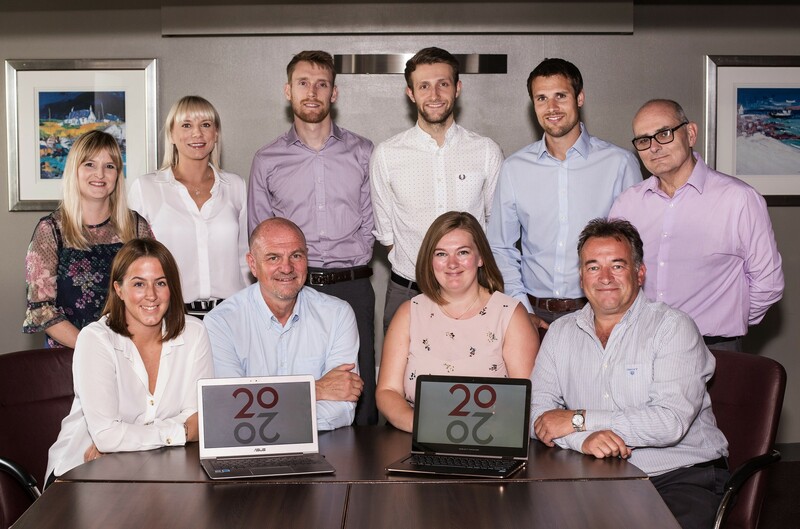 The company is now one of a few remaining Coatbridge-based engineering firms that has continued to evolve, expand and develop over the past 40 years. Around eighteen months ago Manny started to think about taking a back seat in the business and, after considering his options, he decided that employee ownership was the best way to secure the company’s future and protect and retain the jobs of his staff. In December, Chemco International announced it had completed its transition to become an employee-owned business, with 24 members of staff becoming owners. An Employee Ownership Trust was formed to hold 100% of the shares on behalf of the new owners. We caught up with Manny to hear more about the reasons behind the decision to move to employee ownership. “We are almost an institution in the area, having been here for almost 40 years. That’s why it was really important to me that the company not only stayed within the local community, but that the jobs and the skills of the staff, who all live locally, were retained and protected. “I looked at a number of different options, including selling the business, but my concern was that due to the nature of the business, a trade buyer would most likely relocate the company. None of the options I explored delivered the business continuity I wanted for our customers and employees and this is when the employee ownership became an attractive option. “I carried out some research and then attended an employee ownership event run by Scottish Enterprise. The event was really useful and I came away with lots of valuable information. Even before I left the event I knew that employee ownership was exactly what I was looking for – it would provide the security that we wanted and, most importantly, would allow the employees, who have all played a key role in the growth of Chemco International, to have a real say in its future. “I must also mention Scottish Enterprise, for being instrumental in facilitating the employee ownership scheme for Chemco, and giving impartial, independent trustworthy advice. “It’s a very exciting time for our company and we all look forward to the opportunities this brings. For more information about employee ownership and whether it is right for your business, please get in touch here using the ‘expert support’ option. This entry was posted in BLOG on February 4, 2019 by CDS Admin. Founded in 1972 by Stuart Hutton, The Priory Hotel in Beauly is a local institution, holding a special place in the hearts of many from the town and beyond. Over the years, Stuart and his family have played a key role in the day-to-day management and running of the hotel. However, after over forty years of business, he began to consider his retirement and what that might mean for the hotel. After considering his options, Stuart concluded that employee ownership was the best way to secure the hotel’s future and reward his loyal staff. An Employee Ownership Trust has been formed which will hold 72% of the shares on behalf of the employees. Stuart’s son Kenneth Hutton will retain the bulk of the remaining shareholding, to demonstrate that the family remains committed to the continuation of the hotel. Kenneth grew up with the hotel since childhood, and despite taking a different career direction as a golf professional, he has become involved again over the past few years. He will become managing director of the company, and will oversee its operation as his dad begins to remove himself from the business. We caught up with Kenneth to hear more about the reasons behind the decision. “My dad was at the stage where he was considering a step back from the business. He had put the hotel on the market recently and had a couple of trade sale offers, however he didn’t feel that the prospective buyers were the right fit for the hotel. A staff member had once mentioned employee ownership as a potential solution to this – it meant the business would be sold to those who know it best, and it wouldn’t be taken over by a large chain. The option stuck with my dad and when he felt like he had the correct management team in place, the time was right to begin progressing the buyout. 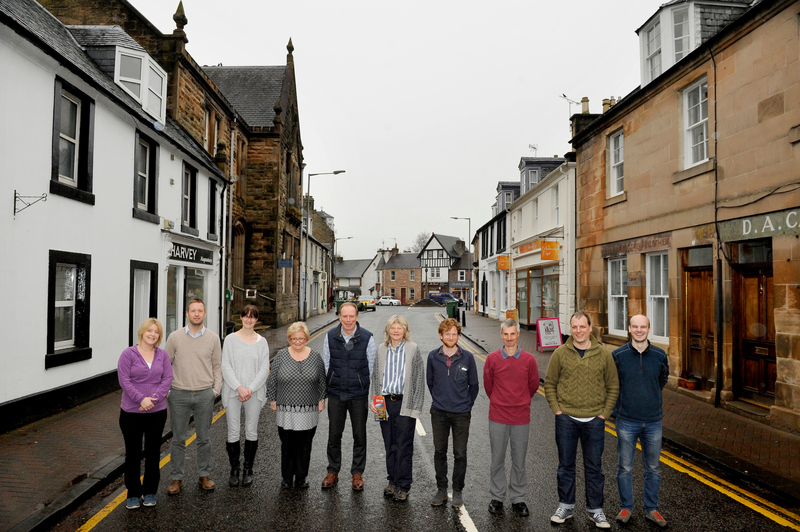 “Beauly is a small town and many people from the area have worked at the hotel over the years. Many marriages were forged at our discos and musical events in the 70’s and 80’s, and people still travel from far and wide for our food offerings, and in particular our famous Sunday carvery and traditional High Teas. The Priory Hotel is a huge part of the local community and a takeover by a large chain could have put jobs and company values at risk. 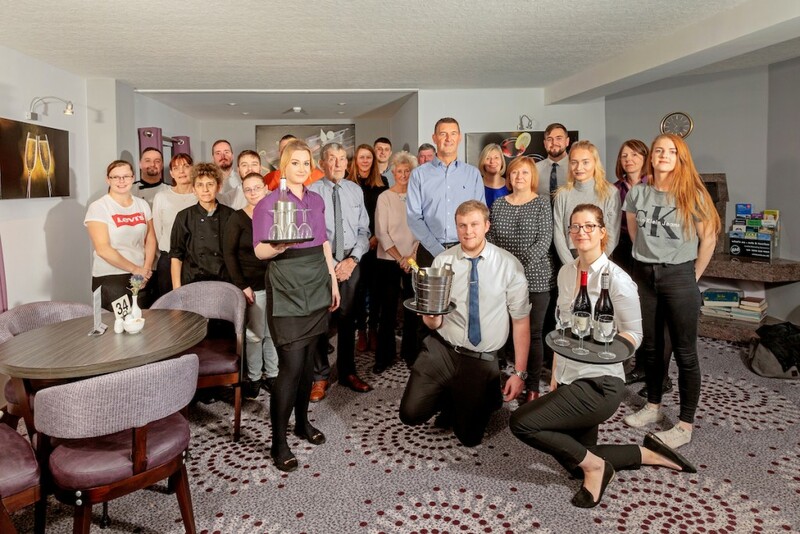 By selling to his employees, my dad knows that the business he spent 46 years building is now in the hands of a loyal and invested team that wants the best for the hotel and the local area. This entry was posted in BLOG on January 11, 2019 by CDS Admin. Following the announcement from First Minister Nicola Sturgeon in August about the establishment of a new Industry Leadership Group, ‘Scotland for Employee Ownership’ (SfEO), an Employee Ownership Champion has been recruited to work with the group. 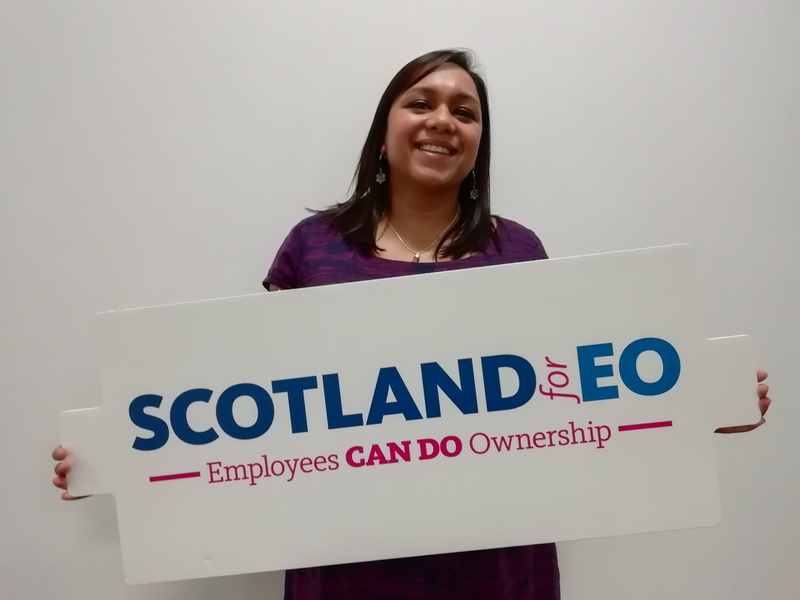 We caught up with Yogi Johnston, Champion, Scotland for Employee Ownership, to find out more about her role and what the SfEO group will be working on. “I am thrilled to be given the opportunity to work for SfEO. Being a HR professional, I’ve always focused on challenging individuals, managers and teams to have an inclusive approach to how they work. I want to use that experience at a macro level to influence and enable entire businesses to work and grow in an inclusive way; resulting in a stronger, larger and more confident Employee Owned Business community in Scotland. “My focus for the coming year will be to work with the SfEO Board members to help deliver the strategy, visit Employee Owned businesses across Scotland and facilitate initiatives in three key areas; learning, enabling and influencing. “We want our Employee Owned businesses to thrive, which means enabling access to the right type of learning and development. Therefore, one of the group’s key initiatives will be to drive the creation of a world class learning environment where people will be able to access learning that will help them understand the technicalities of being employee owned as well as learning how to develop and maintain their employee value proposition. “The SfEO group will also consider how we engage with key partners such as the Employee Ownership Association, to bring together Employee Owned Businesses (EOBs) from across Scotland. These types of events will focus on sharing knowledge and best practice, as well as discussing challenges and celebrating successes. First Minister Nicola Sturgeon recently announced the establishment of a new industry leadership group which will aim to make Scotland the best country in the world for employee-owned (EO) businesses. Under the strapline ‘Employees CAN DO Ownership’, Scotland for EO aspires to increase the number of employee and worker-owned businesses from around 100 to 500 by 2030. It will be backed with £75,000 of Scottish Government funding and will be co-chaired by Jamie Hepburn, Minister for Business, Fair Work and Skills. We caught up with some of the people involved to find out about the reasons behind the establishment of the group. “All the evidence tells us that employee ownership delivers benefits to business performance, the people who work in them and the places in which they are located. This has certainly been the experience of the Auchrannie team in Arran. John Clark, chair of employee-owned business Novograf and member of the steering group behind the initiative, described how the group aims to cultivate the perfect environment for further growth in Scotland’s employee ownership sector. “The appetite for employee ownership has never been greater. In the last five years the number of employee and worker owned businesses operating in Scotland has trebled and this past year we have been working on a ‘deal a month’ on average. Our client pipeline is expanding too, indicating take-up of the model will continue to accelerate in future years. This entry was posted in BLOG on September 4, 2018 by CDS Admin. 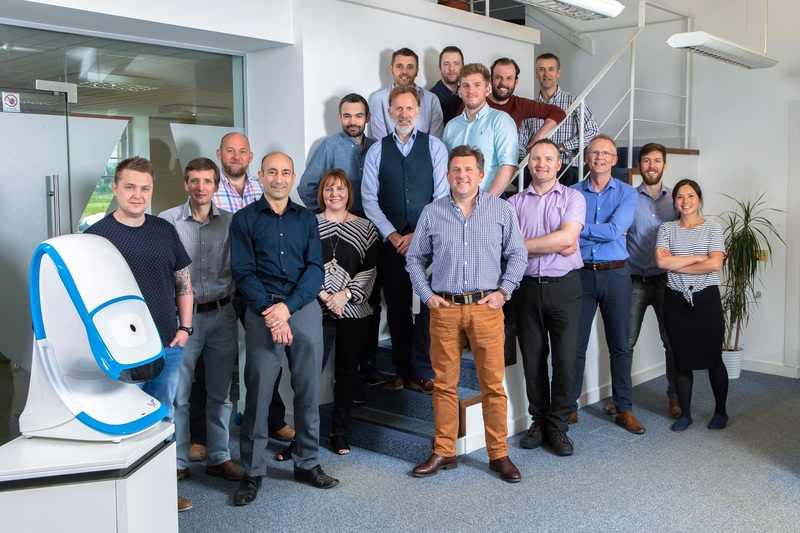 Edinburgh-based i4 Product Design Ltd is an ambitious Scottish company which was formed in 2003 by four founding directors, Brian Combe, Ewan Maxwell, Gordon Miller and Jim Ward, who went on to build a successful business with a strong track record. Three of the four founders, Brian, Ewan and Gordon, are still with the business and form the current board of directors. i4 has a mix of designers, innovators and engineers that collaborate as one team to deliver eye-catching and well-engineered products. Specific services include project management, industrial design, mechanical engineering, electronics and systems engineering, prototyping and manufacturing support. The business has designed some well-known home and garden products for brands such as Flymo and Bosch as well as medical diagnostics and prosthetics products for world-leading vision device manufacturer Optos (part of the Nikon group) and Touch Bionics (an Össur Company). 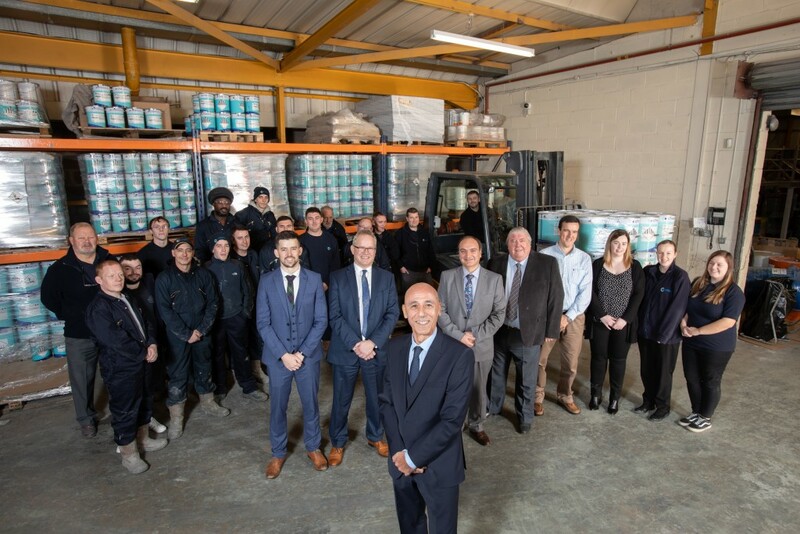 In May this year, the company announced it had completed its transition to become an employee-owned business, with 14 members of staff becoming majority owners. An Employee Ownership Trust (EOT) has been formed and currently holds 75% of the shares on behalf of the employees; the co-founders have an equal share of the remaining 25% but it is envisaged the EOT will eventually hold 100%. “The main objective of establishing an employee ownership structure was to provide a stable platform for growth by allowing our employees to feel more engaged, informed and integrated into the company. “Many exit options had been considered over the years, even employee ownership which at the time we wrongly assumed would be too complicated for us. However it soon became clear that employee ownership was an ideal fit for the aspirations of the directors, for leaving a legacy of a sustainable and profitable company. “Since the company’s inception we have always strived to do the right thing by our employees, and so once we understood the principles of employee ownership, we knew it was the perfect vehicle for us to begin the process of engaging our team for the next chapter of our company’s development. “We were extremely satisfied with the support we received from CDS and our legal and financial teams on implementation. Although there is a lot of hard work still to complete to make employee ownership work for us, we firmly believe that this will be good in the long-term for everyone involved. “All employees were kept in the loop from the start of the process. We held off-site strategy days where a wide selection of our employees attended and contributed to discussions on many points including succession and various models of ownership. Once the employee ownership model was debated in more detail and identified as the preferred option, a wholesale engagement with the employees was undertaken on a regular basis as the company stepped through the process. Keeping the lines of communication open proved to be very useful as feedback from the employees during the sessions ultimately shaped the finer details of the EOT. Dundee-based building engineering company Scan Building Services Ltd, founded in 1980, operates in the construction industry as a specialist contractor, providing services such as heating, ventilation, air conditioning and plumbing systems. 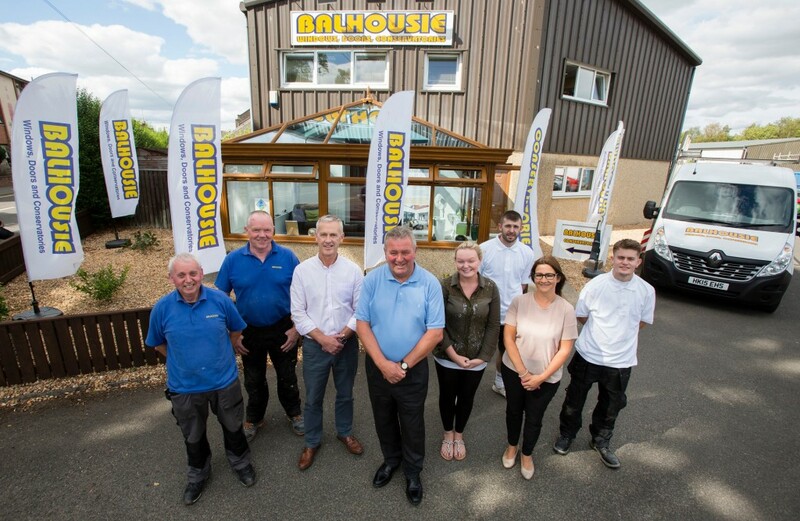 Serving clients in the Dundee area and beyond, the company’s experience ranges from installations in domestic properties to major commercial and industrial buildings. Scan Building Services’ clients include construction contractors, local authorities, health trusts and private companies. It has an annual turnover of £3.9million. In May this year, Scan Building Services announced it had completed its transition to become an employee-owned business, with 56 members of staff becoming owners. Previous owner David Anderson has sold 100% of the shares to an Employee Ownership Trust, which is holding them on behalf of the employees. The deal was structured in order to make it affordable to the business without affecting its ability to reward the team and reinvest for the future. The plan is to also introduce an Enterprise Management Incentives (EMI) scheme for senior management. We spoke to previous owner David Anderson and Graham Prophet, part of the senior management team, to find out more about the decision to become employee-owned. Graham said: “Throughout the years we have endeavoured to provide the best possible quality of products and services to our clients and to pride ourselves in the standard of the work we provide. To do this we employ a highly skilled workforce of dedicated and local craftsmen, many of whom trained through the company’s apprenticeship scheme. So when we were considering our options for future ownership of the business, we wanted to ensure the jobs were retained in Dundee and the staff were rewarded for any success. Employee ownership ticked all of those boxes and following a feasibility study last year, we knew it was the best option for us. “A fair price was achieved for the previous owner that also ensured sufficient reserves were left in the company to provide working capital to invest for the future. This entry was posted in BLOG on July 24, 2018 by CDS Admin.